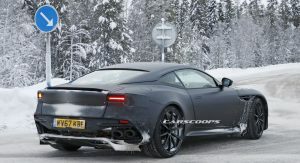 Aston Martin CEO Andy Palmer has suggested the company will unveil an all-new model at the Geneva Motor Show. 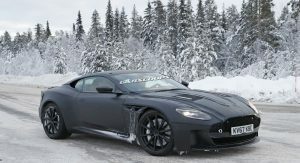 That’s not much to go on but the company is working on a handful of new models including the Vanquish, Valkyrie and RapidE. 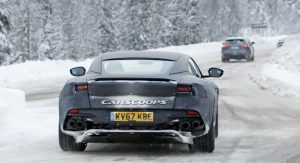 The automaker is also developing its first crossover and a high-performance model to challenge the Ferrari 488 GTB. There’s no word on which model Palmer was referring too but the Vanquish is a strong possibility. 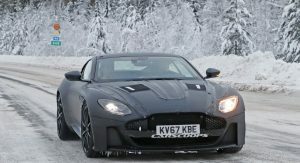 The model has been by caught spy photographers on multiple occasions and Palmer has previously said the car will compete with the Ferrari 812 Superfast. It is expected to use a twin-turbo 5.2-liter V12 engine that develops at least 700 hp (522 kW). 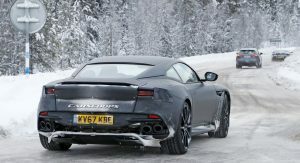 The chances of seeing the RapidE are slimmer as Aston Martin has previously said the car will be launched in 2019. 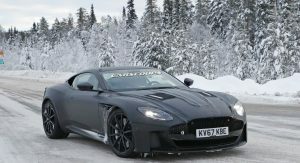 The all-electric model will be based on the Rapide AMR and production will be limited to 155 units. 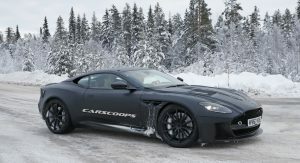 Other possibilities include a new special edition and the Vantage Roadster. The drop top will mimic the coupe and feature a twin-turbo 4.0-liter V8 engine that produces 503 hp (375 kW) and 505 lb-ft (685 Nm) of torque. 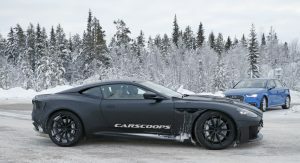 It is paired to an eight-speed automatic transmission which allows the coupe to accelerate from 0-60 mph in 3.5 seconds before hitting a top speed of 195 mph (313 km/h). 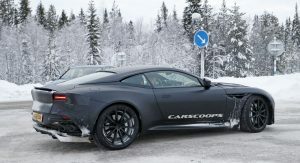 Doubt it’s anything all-electric although the DBX or RapidE would be quite nice. Please don’t let it be anything Valkyrie-related. 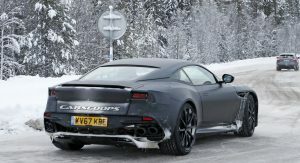 THAT is the front and rear clips that the DB11 & Vantage should have had. Not the gaping holes and overly fussy designs that were used. Back to understated but striking AM. A real surprise will be a closer to production DBX. 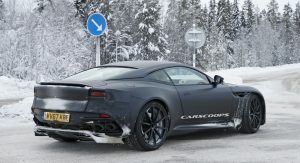 I think the Vantage roadster would look obvious. But no one would be expecting a lightly conceptualized DBX. 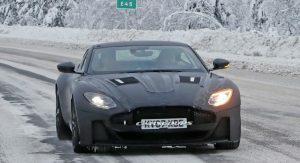 Could be they showing the 4 door close to production DBX? It’s kinda hard to imagine it atm. Not if they are showing another concept with 4 doors vs the two of the original DbX. Keep in mind Acura showed like 2 NSX’s before the production model. Toyota I think 2 Supra’s and it’s still not out. I think they can show one especially if the on sale date for the DBX is early 2020. Hmmm I thought most of the DBX design will get carried away in 4 door production version? But yeah they could have done it again to check if the market reception would be the same. I think it’s fair that they would try one more concept lightly disguised. 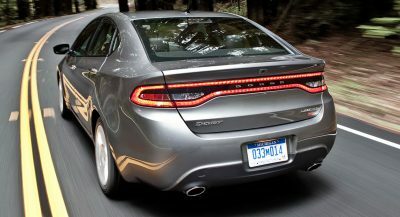 That way people who can’t visualize those design elements on a 4 door with a more upright rear can see what it will look like. Most are not as gifted as we are. True, this is uncharted territory anyway, imagine if you already bought and equipped the plant in Wales and then found DBX is not well received. At least they learn 1 or 2 from Rapide saga. Well Vanquish is already in the end of it’s life. But I don’t expect major modifications in F12tdf style. Maybe modest bump and visual detailing like DB9 GT. ???? 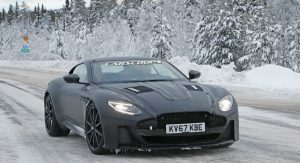 DB11 is built on top of new platform, the Vanquish is part of old VH platform. And they also share the Ford based V12, Your comment don’t make sense. All matte black is definitely the color for this car. What Makes The Acura NSX’s $6,000 ‘Andaro’ Paint So Special? Acura charges NSX buyers a cool $6,000 for its special Andaro paint option. You simply can’t deny the iconic status of an old Nissan Skyline GT-R, can you?. The automaker will idle the second shift at the Marysville, Ohio plant to retool it for future electrified vehicles. Included in this list are the Lexus LC, Lamborghini Aventador SVJ, Audi R8, and Porsche 911 GT3. 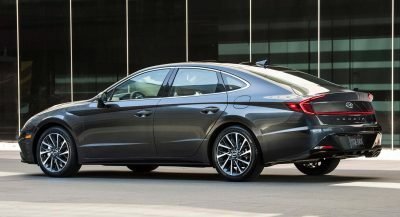 The Hyundai Sonata N-Line will pump out more than 275 hp from its turbocharged engine. First examples of the facelifted 2019 Mercedes GLC and GLC Coupe will arrive at dealerships this July. Hyundai and Kia are reportedly developing an electronically-controlled AWD system for their mid-sized models. Ken Block’s custom Ford F-150 Raptor pumps out 550 hp and has numerous off-road goodies. A host of 2018 Jeep Wranglers are being offered with dealer discounts exceeding $8000. The 257hp 2.0-liter turbo engine has only been available for a year on the Chevy Traverse. 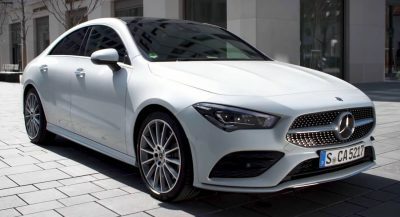 2019 Mercedes-Benz CLA: More Than Just A Pretty Face?